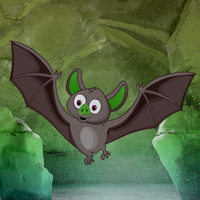 In this escape game, you went to a cave to do some research work. But unfortunately, the cave is fully surrounded by fuzzy bats. You have to escape from that place by finding useful objects, hints and solving puzzle.